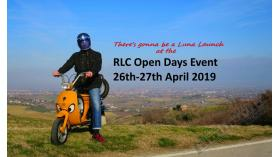 Recently we had a dozen scooters take part in a test-run of the Scooter Rideout rideout we have organised with the Teste Cromate S.C. for Sunday 28th of the Open Days event, and it really does take in some stunning places en-route, through the surrounding hills and countryside! We'll be leaving the shop at approx. 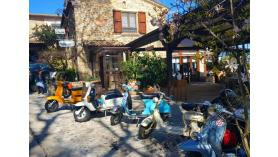 10am and the rideout will wind up at the Farneto restaurant (Sogliano al Rubicone) where we'll have lunch. Along the way we'll also take in a pit-stop at picturesque Monteleone for an aperitif. Are you ready?